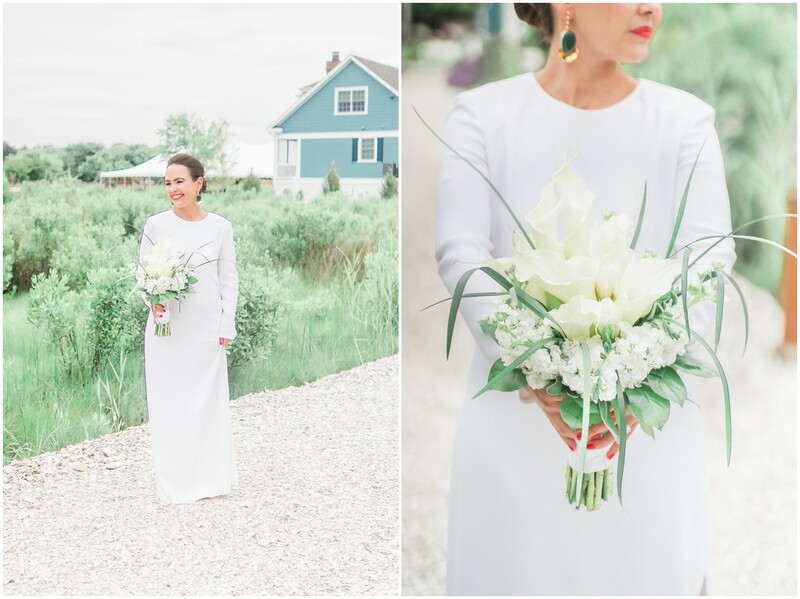 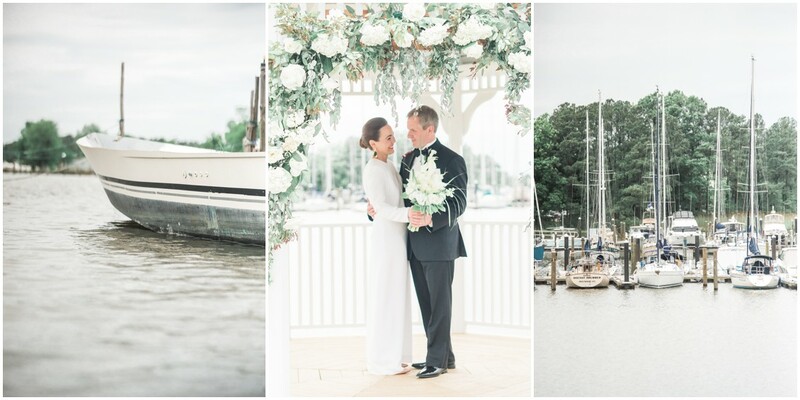 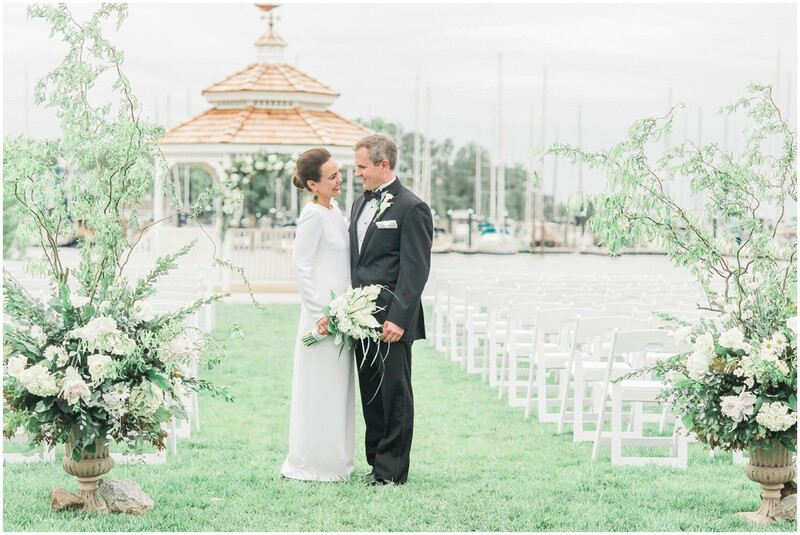 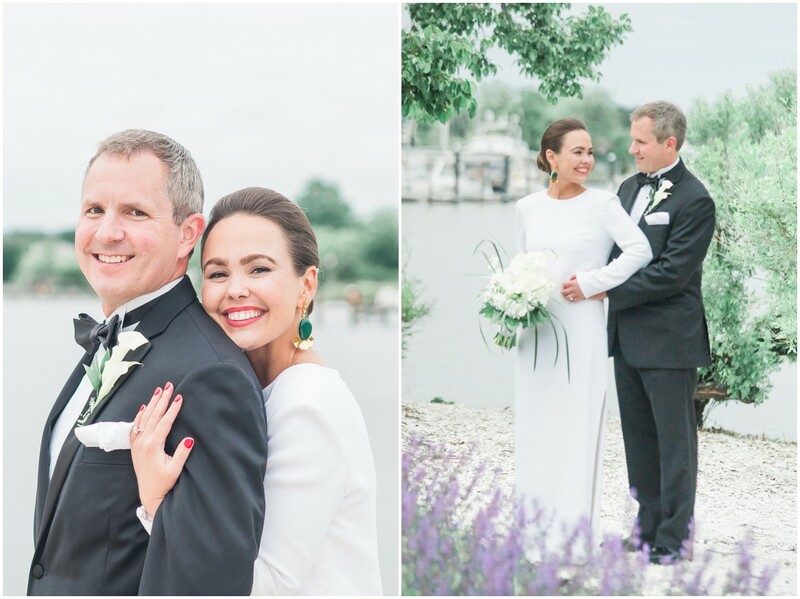 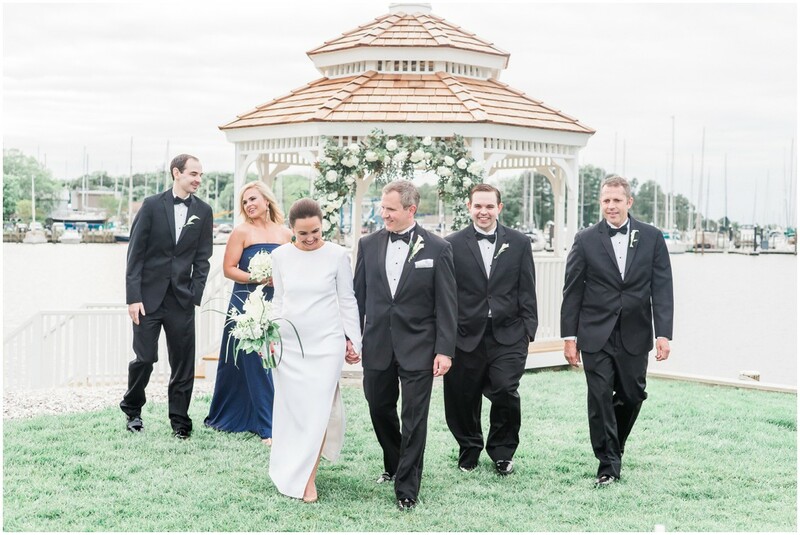 Jennifer & John tied the knot waterside in this elegant white-washed celebration. 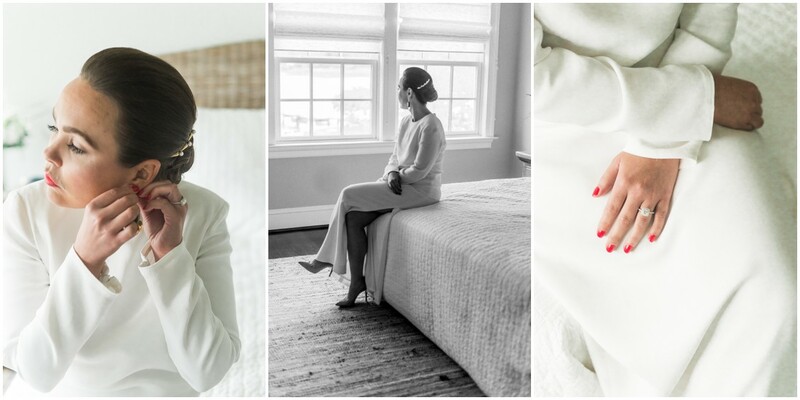 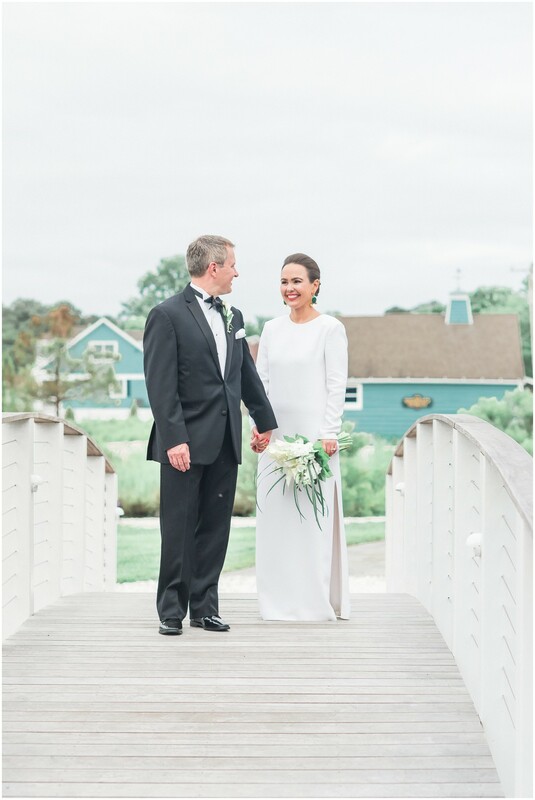 This couple’s sleek + minimalist taste was the perfect compliment to the Inn at Haven Harbour’s stunning views. 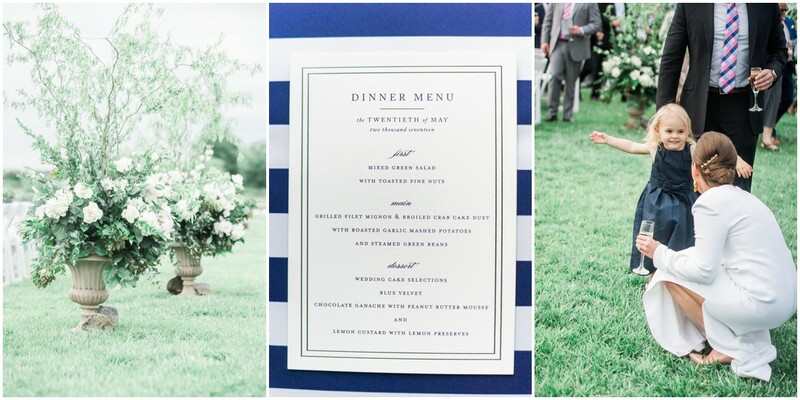 Crisp white and leafy greens have never packed such a punch! 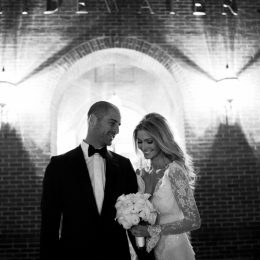 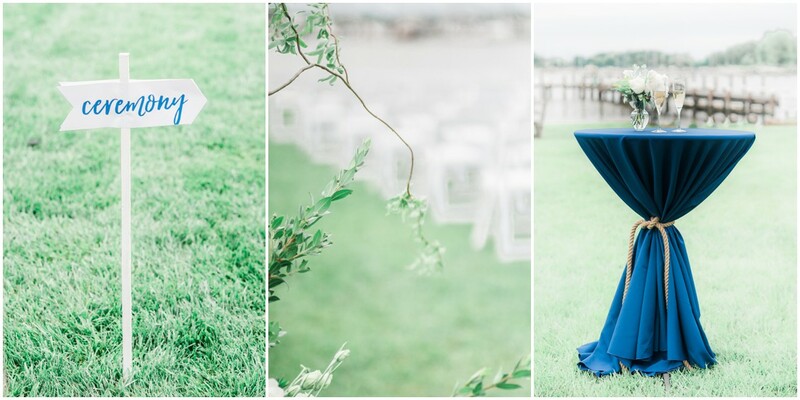 Wait until you scroll through this gorgeous gallery from Manda Weaver Photography. 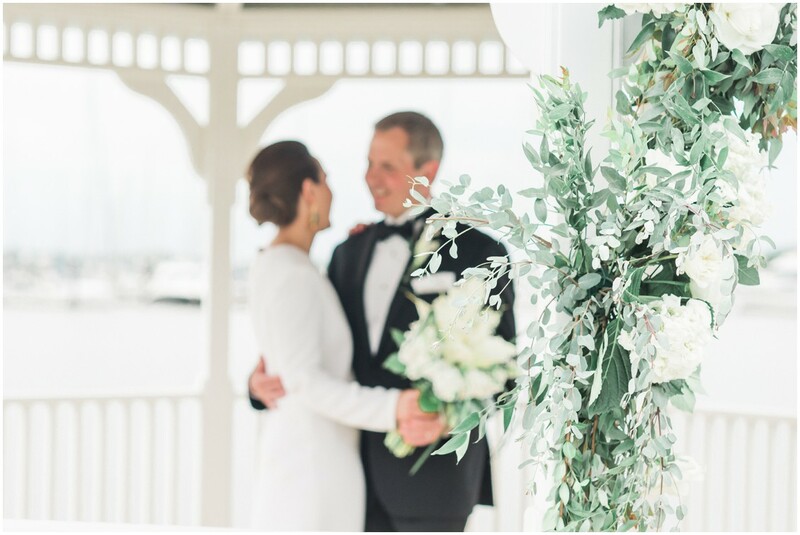 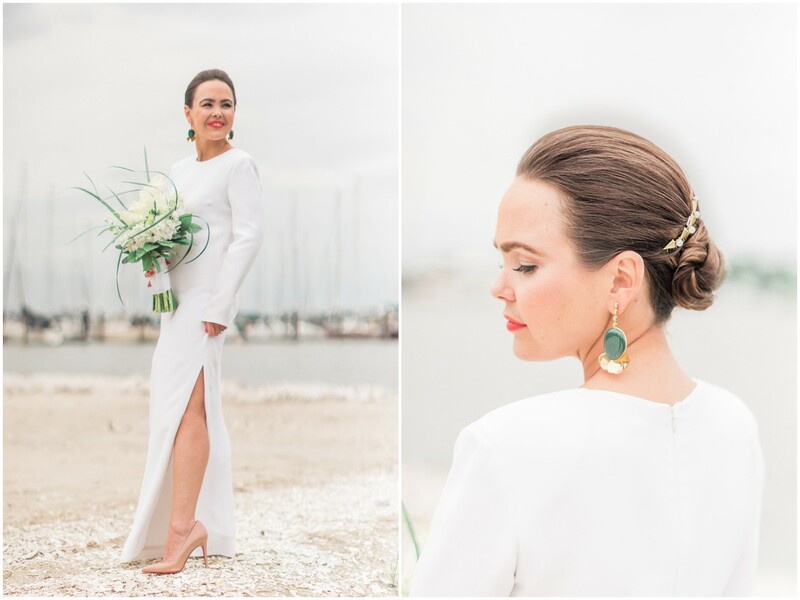 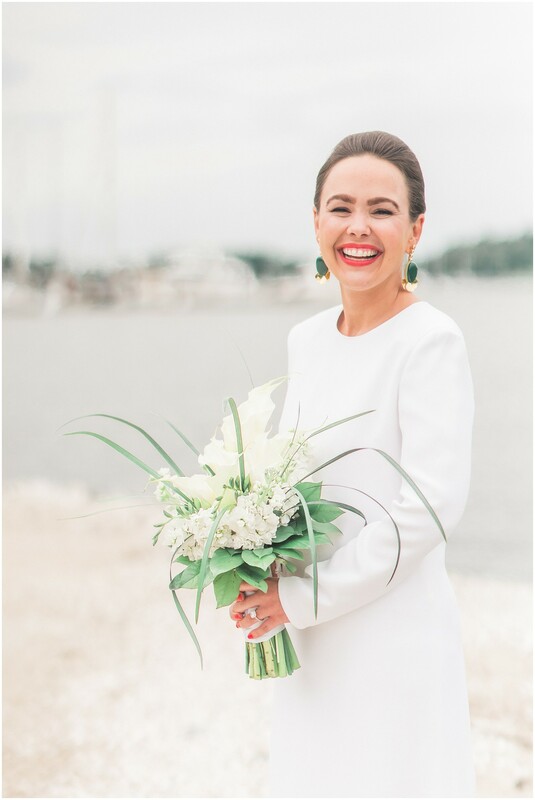 From Manda Weaver Photography: Bold navy and white stripes, sleek simple lines, and garden style florals created a superbly elegant affair on the day Jennifer and John became husband and wife on the Chesapeake Bay shoreline at Rock Hall’s Inn at Haven Harbour. 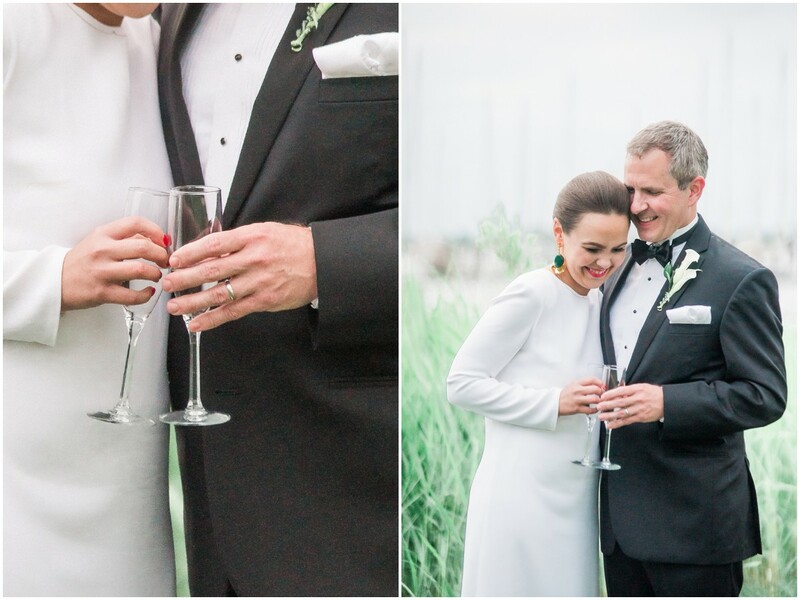 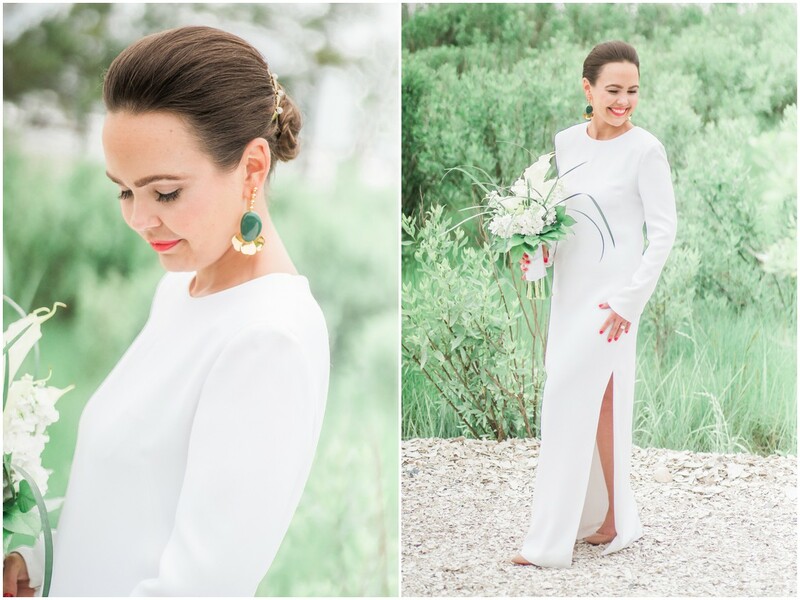 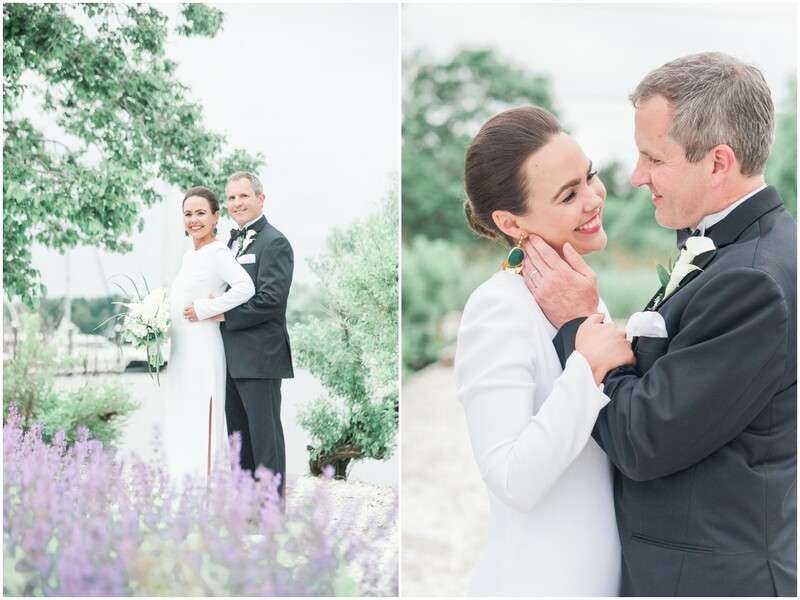 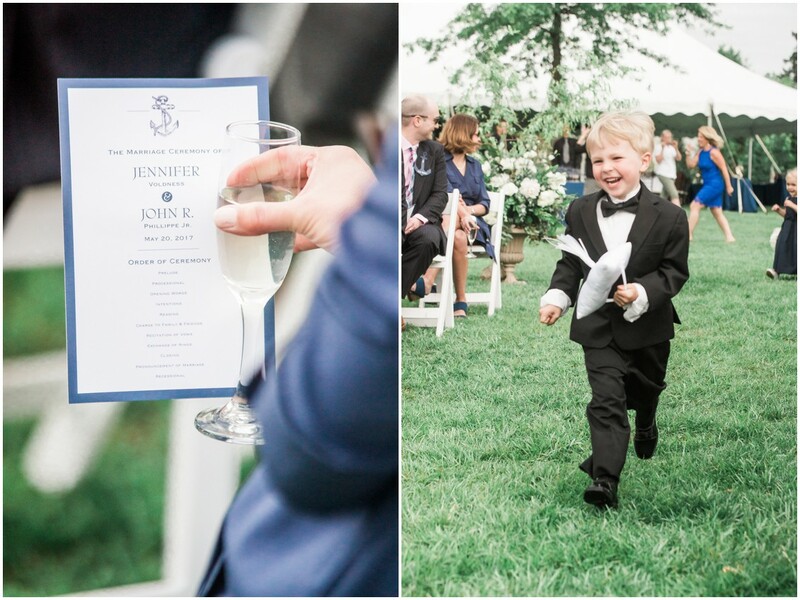 This wedding was stunning, graceful, and oh-so-very joyful, from beginning to end! 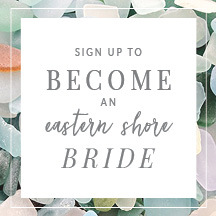 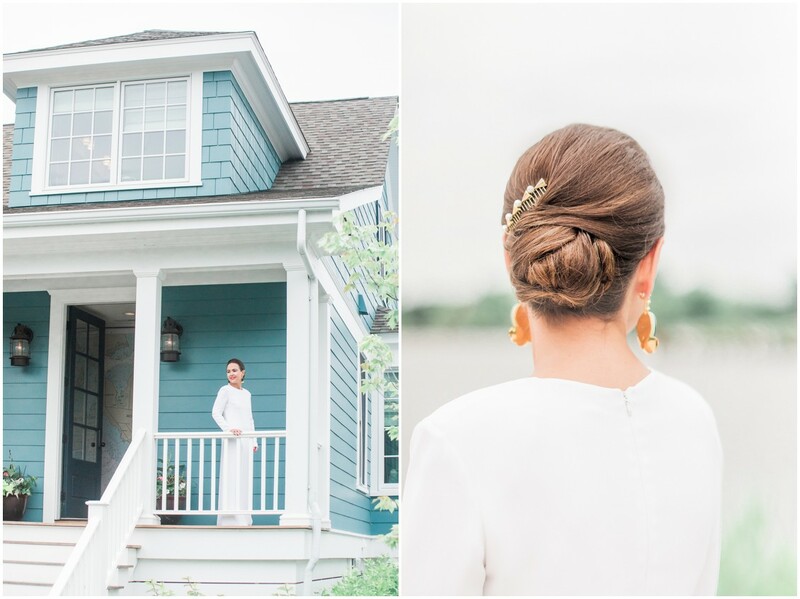 As happens with so many Eastern Shore weddings in the spring, gorgeous storms grace the skyline. 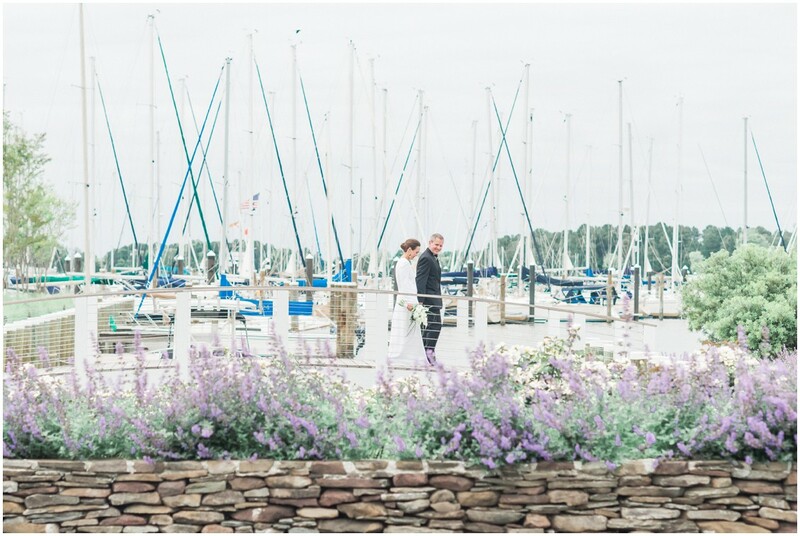 John and Jennifer’s day was made all the more romantic and lovely with the gray-blue clouds that became the backdrop for their vows and first kiss. 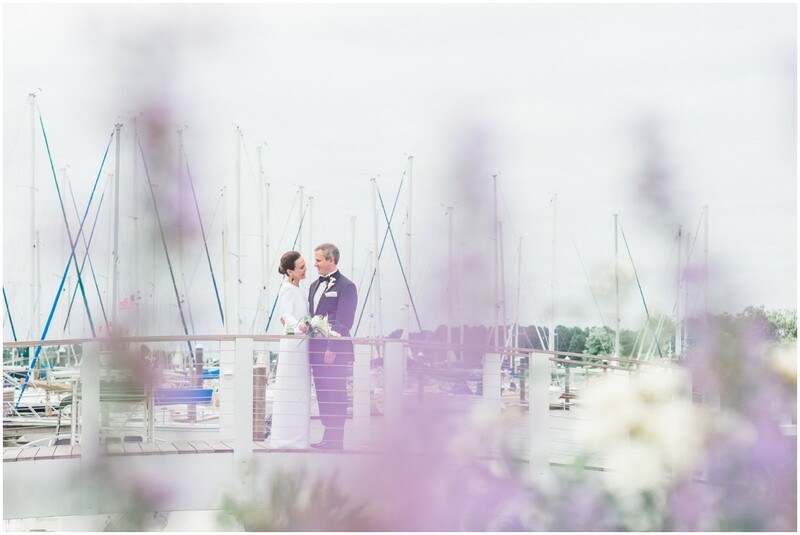 Of course, another mark of an Eastern Shore wedding is a long dock and a view of sea vessels at rest and ready for a new journey. 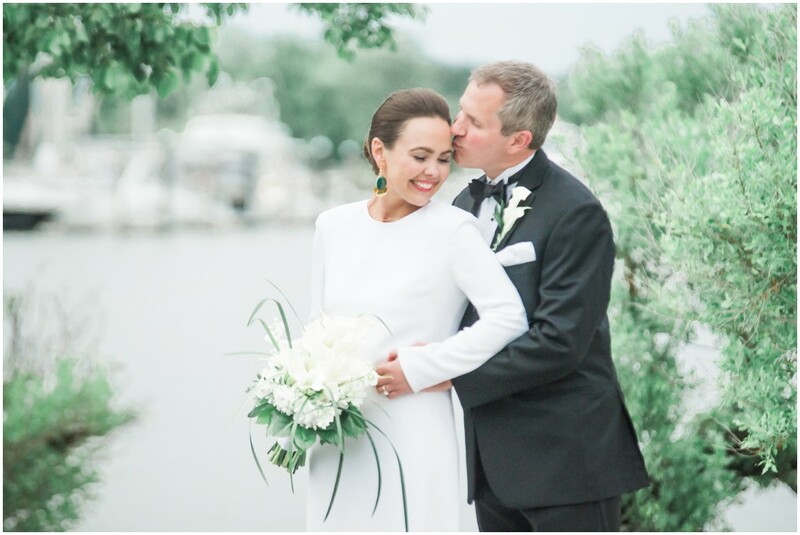 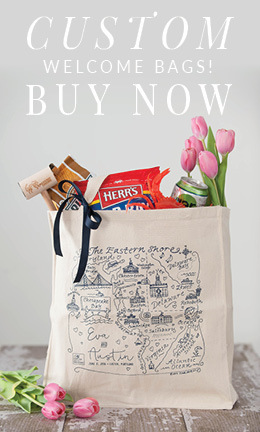 Just like our bride and groom who embarked on an adventure of a lifetime. 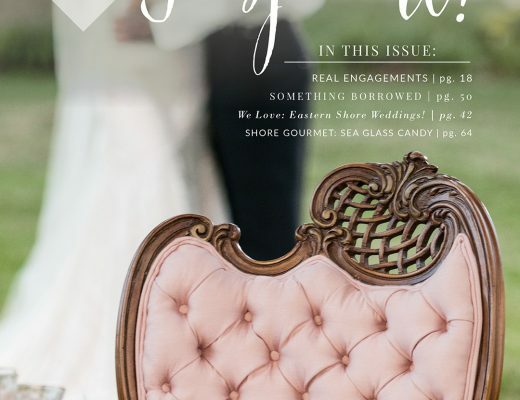 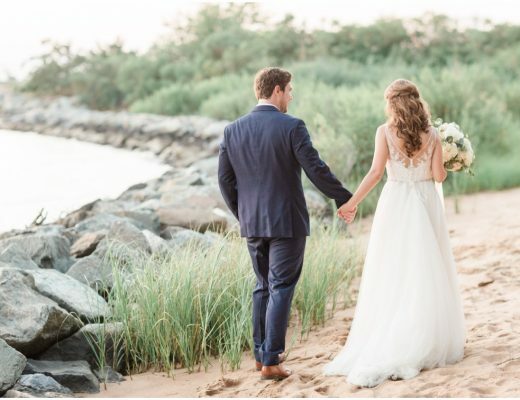 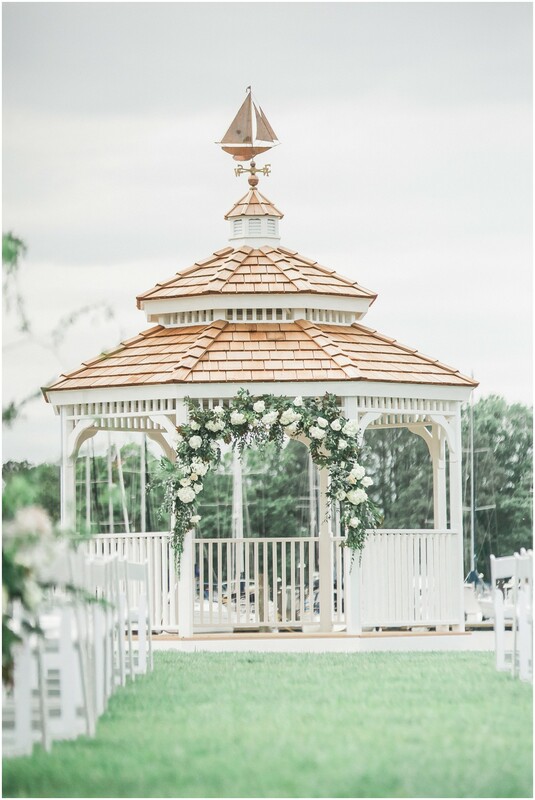 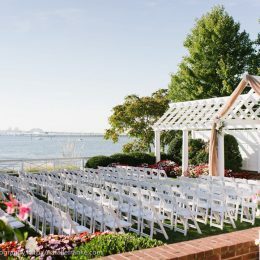 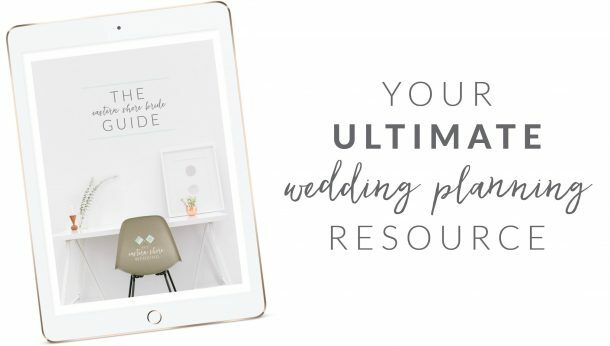 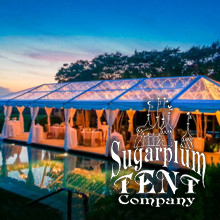 Jennifer, an event planner for a non-profit, designed their wedding in such a way that it harnessed the natural and cultural beauty of the Eastern Shore. 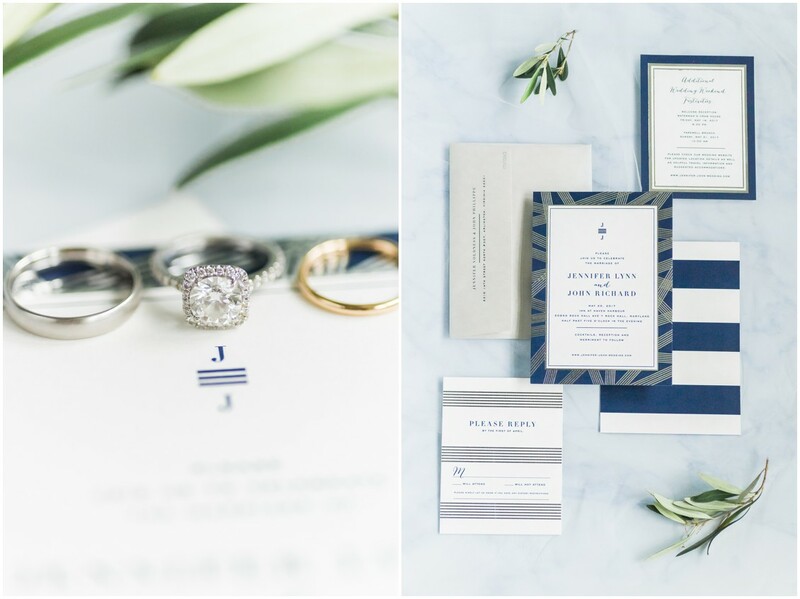 She created a design that was simultaneously subtle and sophisticated. 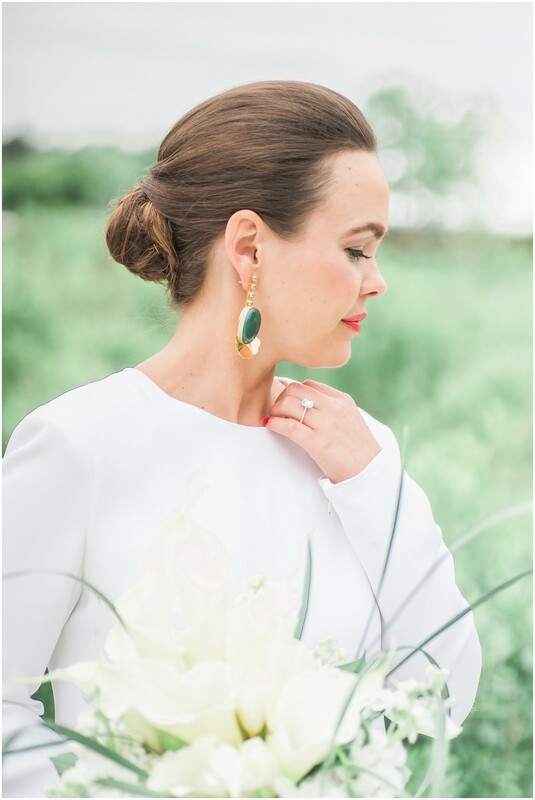 You need only take a glance at her Adam Lippes gown, and emerald flower Marni earrings to see this on full display. 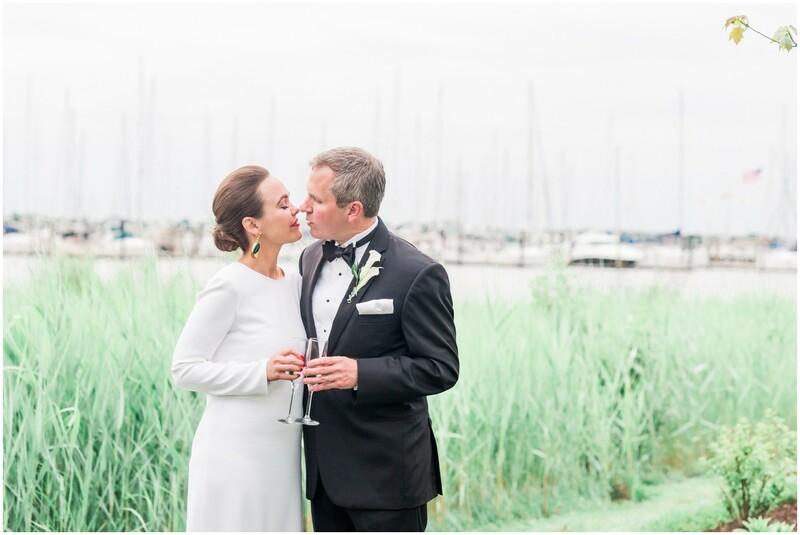 From Jennifer, the bride: John and I met at work when we were both working at the Republican National Committee. 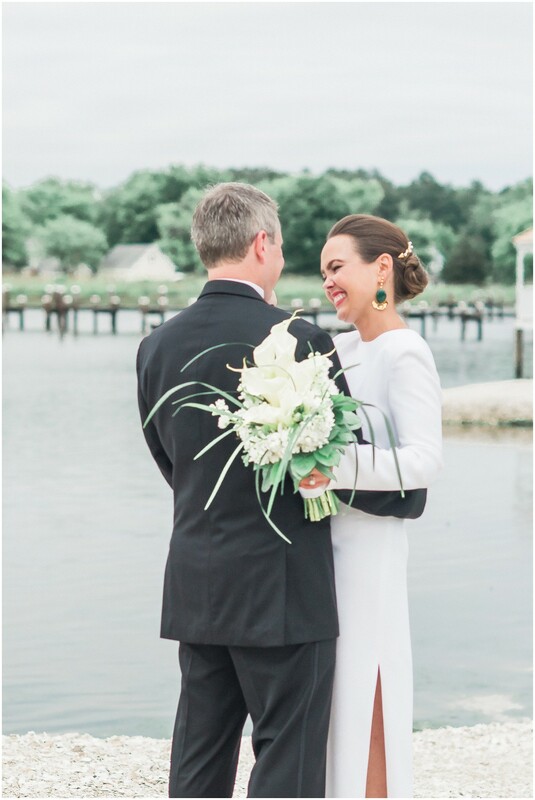 We started dating right after I left the RNC in 2014. 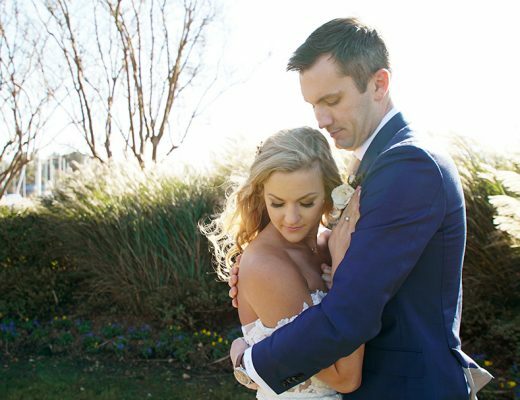 I knew I wanted to marry John within a few months of dating; I’m sure it took him a lot longer, haha! 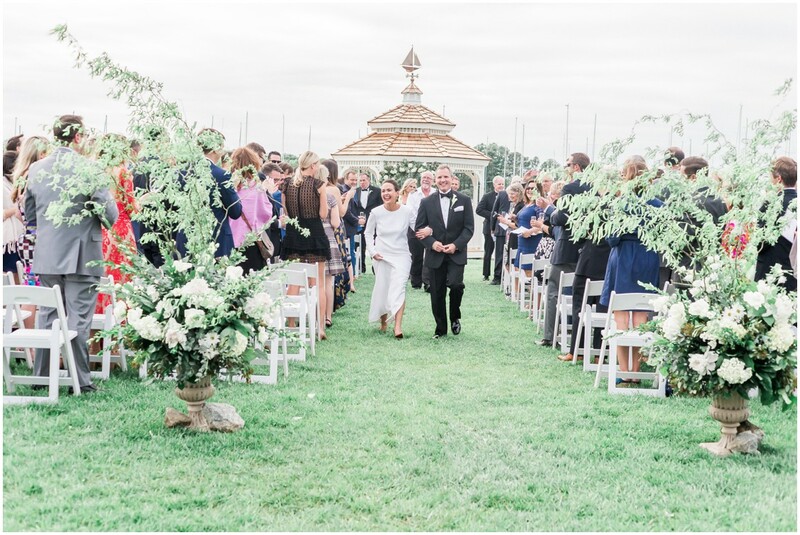 John proposed at the top of the new Watergate Hotel. 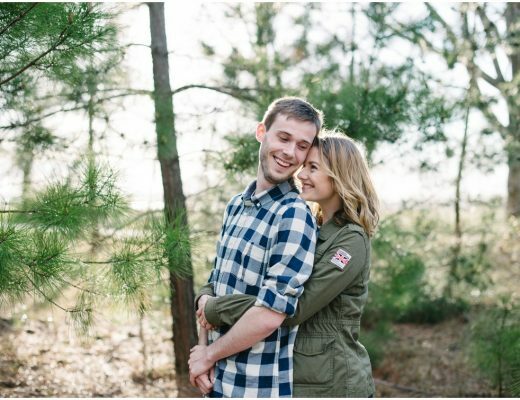 He told me we were going there for a birthday party (which was partly true) and he had his friend take some pictures of the engagement. 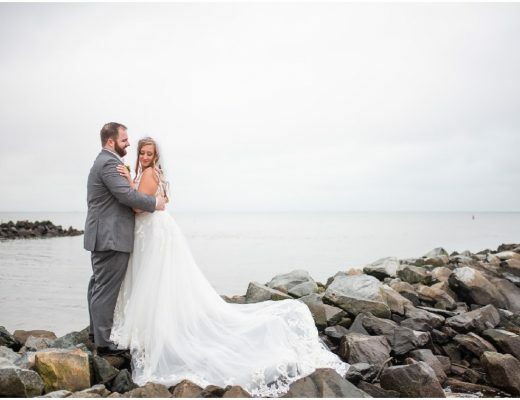 I love spending every day with my favorite person!